After an outstanding regular season for Grace’s men’s soccer team, the Lancers were honored with several awards on the All-Crossroads League Team. 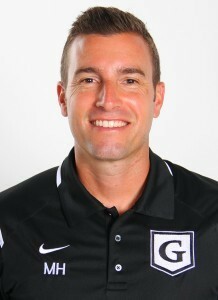 Head coach Matt Hotchkin was named the CL’s Coach of the Year after leading Grace to a second-place finish. The Lancers, picked to finish fifth in the league in the preseason poll, earned their best league result in over a decade under Hotchkin’s leadership. Grace finished the regular season 11-5-1 and 6-2-1 in league play, coming up one win shy of claiming the regular season championship. Sophomore Daniel Smith and senior Kyle Hamlin were named First Team All-CL. Smith was a controlling presence in Grace’s midfield, appearing in all 17 matches for the Lancers. Hamlin had the most goals (7) and assists (8) during the regular season for Grace, and his eight assists led all league players. Additionally, Robbie Barnhill and Justin Festa were honored to the Second Team All-CL. Both played key roles in establishing Grace as a dominant defensive team. Festa, a central defender, and Barnhill, the goalkeeper, helped Grace to seven shutouts in the regular season. Barnhill’s 85 saves currently ranks No. 19 in the NAIA. The Lancers are the No. 2 seed in the CL Tournament. Grace will host seventh-seed Huntington on Saturday at 6 p.m. at Miller Athletic Complex. The semifinals are set for Nov. 7 with the championship to be played Nov. 14. The winner of the CL Tournament will receive an automatic bid to the NAIA National Championships.